Marsha R. Bonner is a recognized diversity & inclusion empowerment speaker, human rights activist, community engagement advocate, senior human resources executive, producer, host and a luminary for change and acceptance. 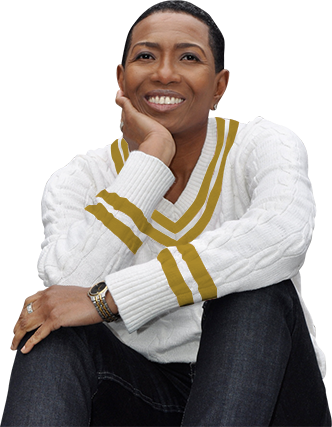 Marsha, who is active in grassroots multicultural, women, LGBTQ, domestic violence, social justice and humanitarian initiatives, garnered international acclaim after her appearance on the ABC network television program “What Would You Do?” in an episode titled, “Interracial Couple Faces Criticism.” Marsha’s diplomatic boldness against bullying and intolerance in a Harlem barbershop created a “teachable moment” that became a viral sensation. The video of her appearance has received over 100 million views around the globe. It caught the attention of ABC’s “Nightline,” which aired a clip of Marsha in a news segment about “What Would You Do?” hosted by veteran news correspondent John Quiñones. Marsha wants to collaborate with YOU!